North Carolina ports to stagger reopenings this week into next:The North Carolina ports of Wilmington and Morehead City are set to reopen to employees Thursday, followed by vessel operations by the end of the week and then commercial trucking on September 24, North Carolina Ports said in an advisory issued Tuesday, after Hurricane Florence took her toll. "North Carolina Ports officials continue to assess the damage and begin the recovery process at the Port of Wilmington and the Port of Morehead City," the state port authority said, adding: "Initial assessments indicate damage at both locations to warehouse and other structures, as well as a significant number of downed empty containers to be cleared." NC Ports said all major infrastructure, including gantry cranes, at both locations "weathered the storm with no damage." While the port authority said it continues to work with local, state and federal officials to determine when it is safe to resume landside operations, the plan "at this time" is to resume full commercial truck operations in Wilmington and Morehead City on September 24. 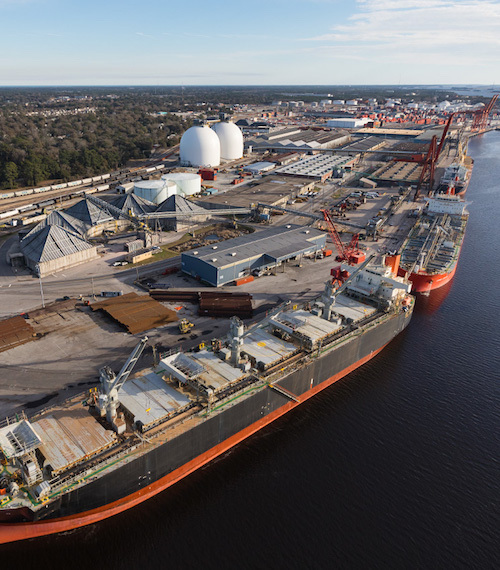 "Vessel operations are anticipated to commence by the end of this week in both locations and NC Ports will coordinate directly with vessel operators and agents," it said. "Both the Ports of Wilmington and Morehead City will reopen to employees on Thursday."